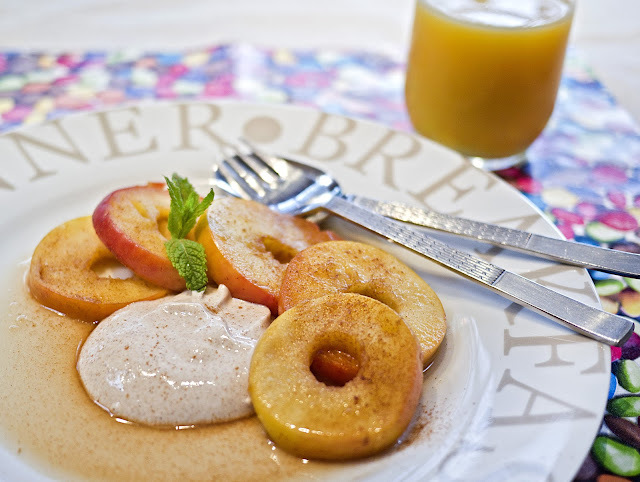 I made this dish for breakfast, but it would be equally good as a dessert. 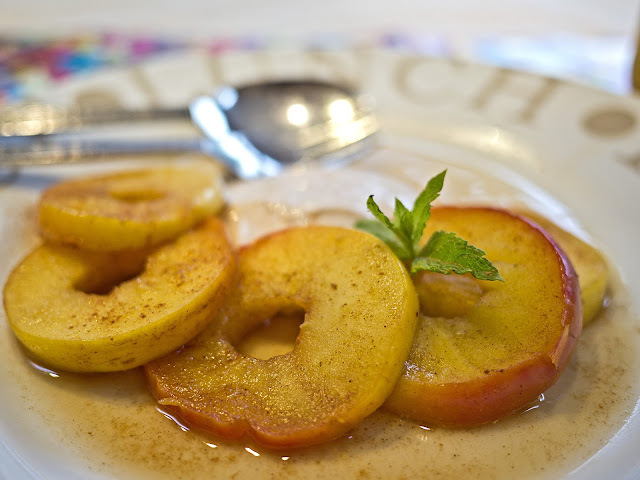 Fry the apple slices for a few minutes in Fry Light, then add the appleade, cinnamon and sweetener if using. Continue to simmer until the apples are tender. 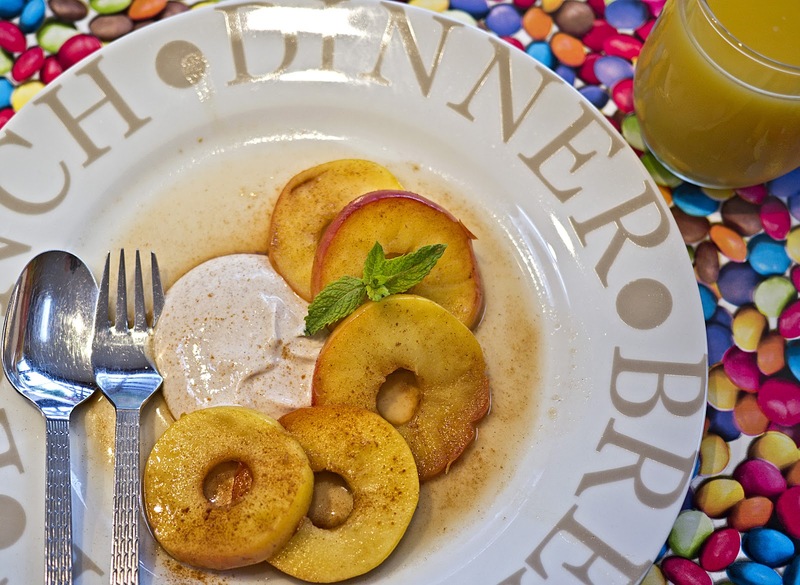 Serve with fromage frais mixed with sweetener and cinnamon to taste.